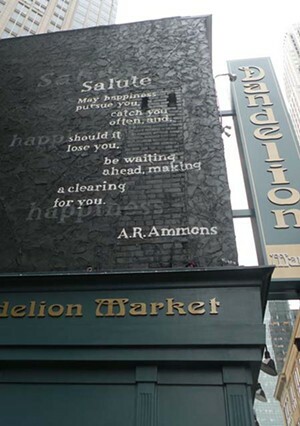 Creators Amy Bagwell and Graham Carew have a goal in mind: Make poetry accessible. 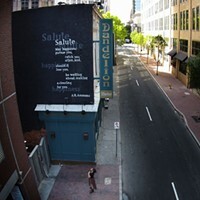 Their mural projects are meant to adorn sides of buildings Uptown; a good example is A.R. 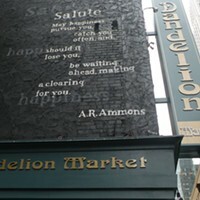 Ammon's "Salute," on the north side of Dandelion Market. More murals are in the works.